The most technologically advanced football that Nike has ever created, the Nike Maxim is set for its FA Cup debut this weekend. As supporting partner of the FA Cup, Nike will supply match balls for every FA Cup game, starting this weekend with Millwall vs Wigan Athletic and Chelsea vs Manchester City. 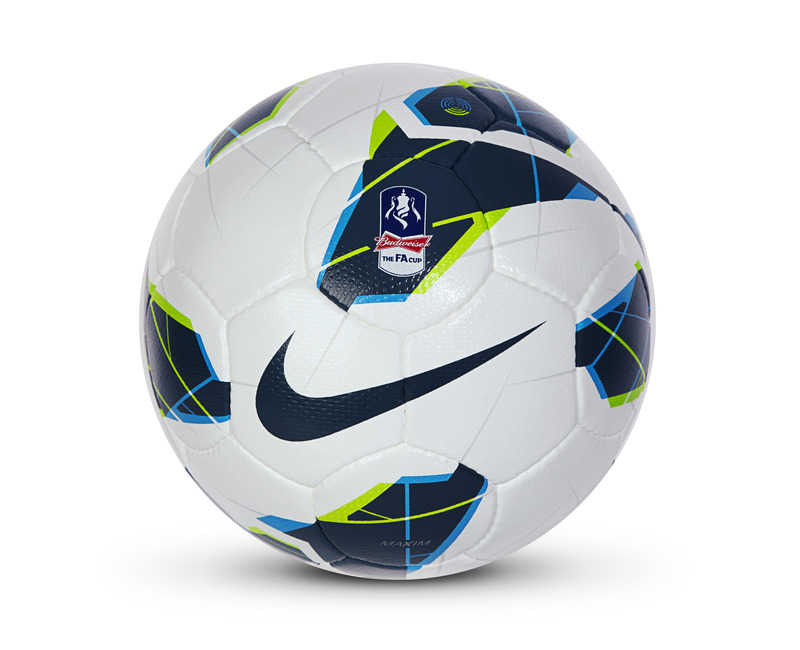 Nike’s partnership with The Football Association, announced in September 2012, includes the role as supporting partner of the FA Cup and this entails the supplying of match balls for every FA cup game, starting this weekend. Featuring design and performance innovation that offer superb responsiveness, touch and ball flight, the Nike Maxim is enhanced with Nike RaDaR (Rapid Decision and Response) technology, a lab and field-tested standard of visual performance that allows players to see the ball better and helps them make split second, game changing decisions. To maximize first touch and distribution, a five layer construction guarantees optimal first touch whilst a 360° sweet spot provides a consistent response off the foot. Meanwhile the Geo II Balanced Technology, an aerodynamic textured casing, delivers an accurate and powerful strike, no matter where you hit the ball. Posted on April 12, 2013, in News and tagged balls football, blue, budweiser, cup, cup debut, FA, green, match ball, maxim, Nike, performance innovation, soccer, white. Bookmark the permalink. Leave a comment.